On behalf of admin of JML Law, A Professional Law Corporation posted in Product Liability on Friday, Sep 01 2017. A California woman has recently received $417 million in lawsuit tying Johnson and Johnson baby powder to ovarian cancer. The women claimed the talc can cause ovarian cancer when used regularly. Eva Echeverria, a 63-year-old woman who contracted cancer back in 2007, has received the largest award in the history of talcum powder lawsuits. Johnson and Johnson is currently facing about 17 trials in both state and federal courts in cases where the popular brand is blamed for causing injuries and death. Contact a Los Angeles product liability attorney if you believe an item or product has given you an injury. Echevarria had developed ovarian cancer as the result of using defective J & J baby powder for over 40 years. She is dying and all she wants is to protect other women in similar situations. She is receiving $68 million in compensation and $340 million in punitive damages. Johnson and Johnson had failed to warn people about these dangers for many years. There is supporting evidence and various internal documents that show the company knew the talc was linked to ovarian cancer. J & J wants to appeal the jury’s decision. While they understand the struggles women suffering from ovarian cancer face, they believe their baby powder is safe and they seem to have evidence to prove it. There are about 1,000 people with similar lawsuits across the nation. A woman in St. Louis was awarded $110.5 million back in 2012 in a similar lawsuit linking the J&J baby powder to ovarian cancer. There were also three other cases in the same city where the victims were awarded different amounts totalling $307.6 million. Two other cases went to trial in new Jersey, and over 1,000 people across the United States are filing similar lawsuits. It seems that Johnson & Johnson is running short of excuses. According to The International Agency for Research on Cancer (IARC) the use of talc-based powder in the genital area may cause ovarian cancer. If you or a loved one has been diagnosed with ovarian cancer caused by the use of powder, you may be entitled to compensation for the injuries and suffering caused. Make sure you hire an experienced Los Angeles product liability attorney since these are delicate cases that require a throughout investigation and expert legal representation. There is plenty of scientific evidence that indicate the link between talcum powder and ovarian cancer. Some studies prove a 30% increase risk of developing ovarian cancer when the individual has been applying the product for a long time. If you believe your cancer is linked to the use of a product such as baby powder, contact an attorney familiar with these types of cases to investigate your circumstances. Your first consultation is free. Your case will be personally reviewed by one of our talented attorneys. We are committed to our clients and will make sure your legal rights are fully protected. 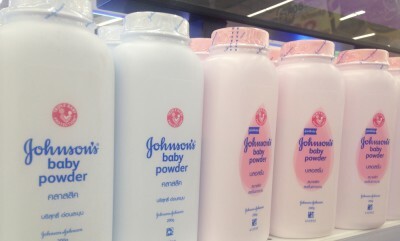 As the J&J lawsuits keep coming, more people will become aware of how dangerous this product can be. Johnson and Johnson needs to warn people about these risks and assume responsibility for any damages caused.